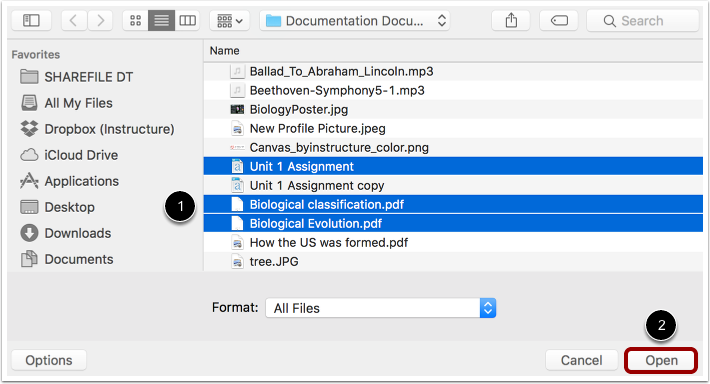 If you have a lot of files to add to your course, you can bulk upload them. You can also bulk upload files by dragging and dropping the files into Canvas from your computer. However, sometimes too many files can cause problems. If you have more than 50 files, try zipping the files and uploading the ZIP file into your course. If you are using Usage Rights, you must set the file usage rights before the files can be published. 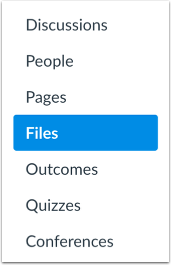 Select the files you want to upload to your course . Click the Open button . View the progress bars for the file uploads. Previous Topic:How do I upload ZIP files as an instructor? Next Topic:How do I delete a file or folder as an instructor? Table of Contents > Files > How do I bulk upload files to a course? Re: Why when I try to download a zip of my files I cant find it?